Dynamic Events creates moments of impact through expert meeting management and event technology. We bring people together and elevate your brand through experiential marketing both in person and online. Our passionate team has two decades of experience managing over 600 events in 40 different countries for some of the world’s largest corporations. We take pride in making the impossible possible and then help you analyze the results for success. We love to tell stories, unite people, and create memories. We thrive on bringing calm to the chaos. We readily take on the challenge of making it look easy so you can look good. We believe that event planning is a journey, from dreaming up your unique experience, planning every detail, to awaiting the adrenaline rush of when the doors open. We exceed expectations and relish in the thrill of watching your vision come to life. Our culture is intentional. We strive to align all we do to our Core Values. We make a conscious effort to live a life full of passion, we believe that teamwork is the best kind of work, we welcome questions and the intellectually curious, we support our team through execution excellence, and we never forget to celebrate the journey. We believe that keeping our team healthy and happy is the best way to keep our business nimble and strong; that’s the Dynamic Events way. We are proud of our work and proud of our customers! "Dynamic Events is the exception, not the norm. I could not imagine doing another event without them." 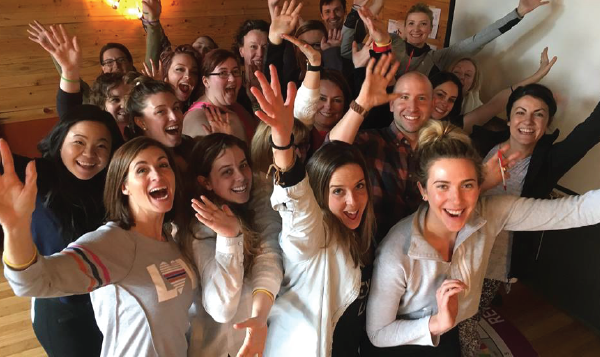 "They immerse themselves in the strategy and business of the groups they work with." "I can’t tell you what a relief it is to know I can connect with you and your team! To be able to turn to a trusted team so quickly. Big sigh of relief." "Dynamic Events went to bat for us over and above the expectation. My whole team agreed and I was moved to contact you as a result. We just couldn't get over the support. I still can't." MANY PLAN. FEW ARE EXPERTS. Our team has spent decades perfecting our craft earning us global recognition and accolades.